These mittens are started by the cuff, working rows back and fort with the single crochet back loops only.Folding the piece in half, you will slip stitch the short rows together to form a tube. 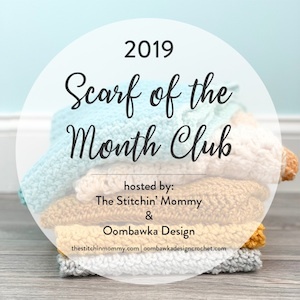 Each round will begin with a ch1, that will not be counted as a stitch. 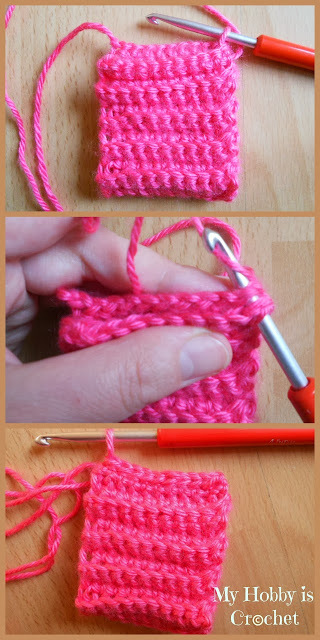 End the rounds with slip stitch into the top of the first sc of the round, not in the beginning ch1. 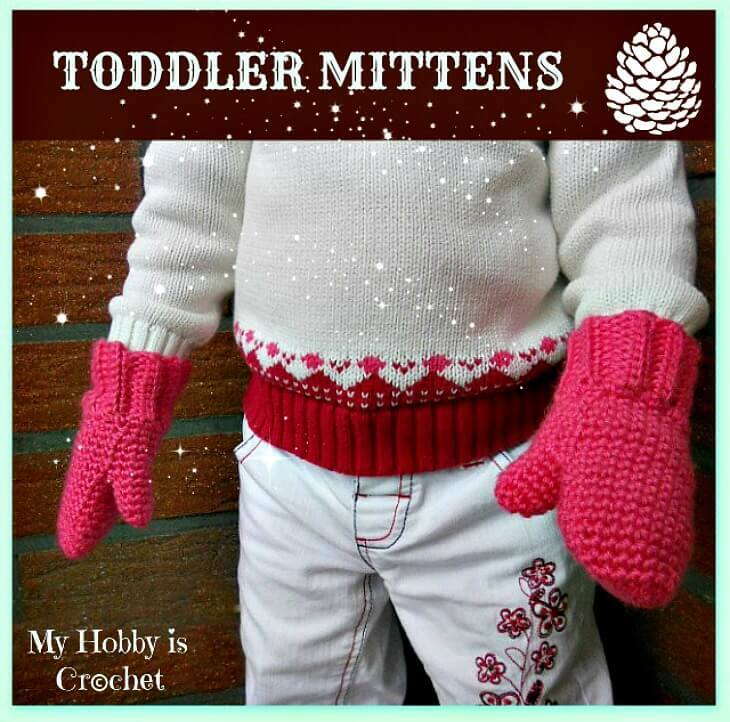 The right hand and the left hand mittens are made the same way, only 1 round at the thumb opening it's different! (Round 8 in the pattern). 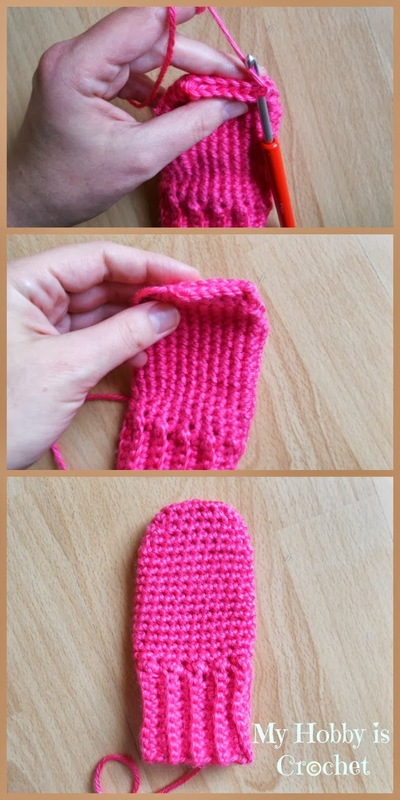 If you'll use a smaller hook and finer yarn, the mittens will be smaller; for a larger size try a bigger hook. 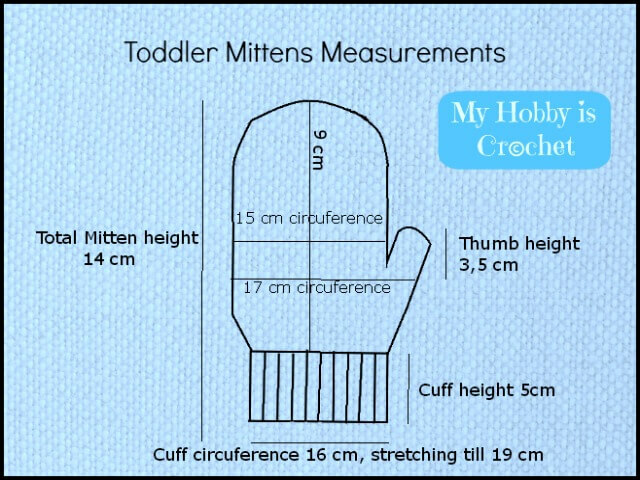 Measurements: See the graphic below! - See this Tutorial by Moogly Blog! The joining looks better on the wrong side of the cuff, so turn your cuff inside out and continue working the hand! Rounds 4-6: Ch1, 1sc in same st and 1 sc in each st around, st to first sc. Cut yarn leaving a long tail. 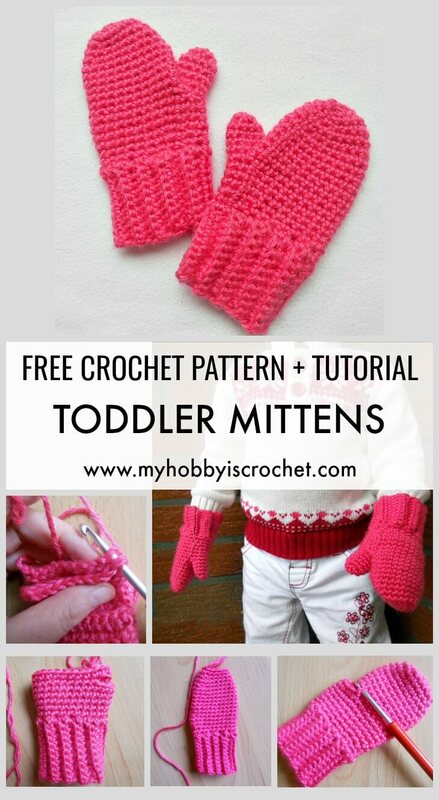 Turn the mitten inside out. Pull the yarn tail on the wrong side of the mitten. Using the both loops of the stitches at the top of the mitten, slip stitch across. Fasten off. Weave in the end. 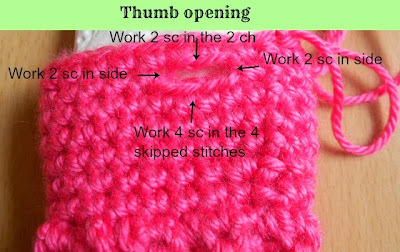 You will work 1sc in each of the 4 stitches let unworked, 1sc into each of the 2 chains made, and in each side of the thumb you will pick up 2 extra stitches. 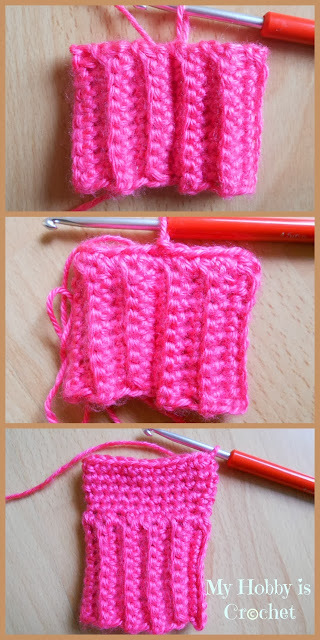 To not have holes in the sides, work the stitches using also the bars of the stitches from previous round. I would love to see your creations! 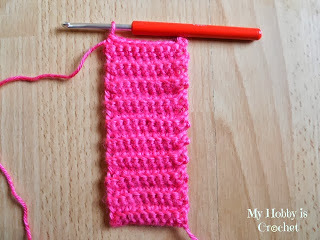 Please share pictures of your projects made using this pattern on our Facebook Page Myhobbyiscrochet! 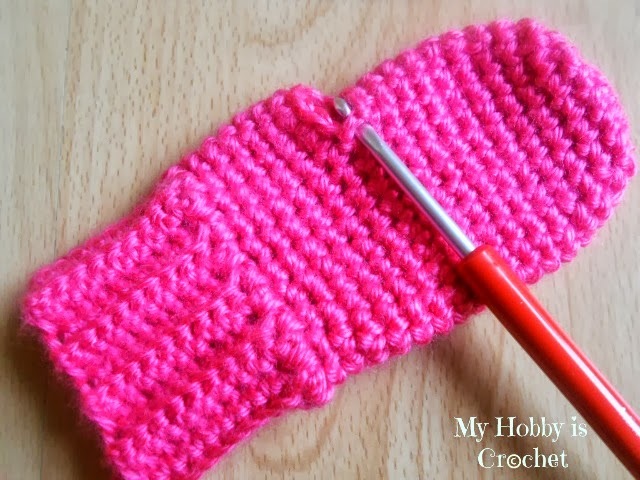 For more free crochet patterns and tutorial, please visit my FREE Crochet Pattern Page !